We are offering Inline Helical Geared Motor to our clients. Gearing meets up to date international high standards. 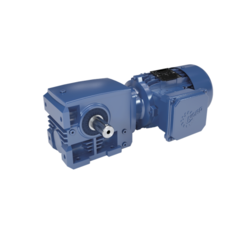 Wide selection of motors and brake motors including inverter-duty motors. Units available for harsh environments. Integrally cast foot or flange designs. Sleek design for easy cleaning. ll bearings selected to provide long and trouble-free operation. High quality sealing for enhanced leakage protection. The output side is an integral part of the housing, no bolt-on output cover to cause leakage or gear-misalignment. We are offering Inline Helical Geared Motor - NordBloc to our clients. One goal of the new NORDBLOC.1 units was to provide a smooth surface to prevent the deposit of liquids or solids on the units. This is an advantage in applications where cleanliness is important. These innovative and patented gear units do not feature joints or openings. This increases strength and also provides a smoother surface. 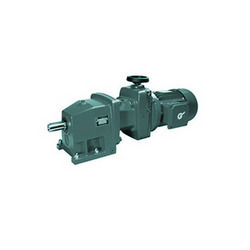 Standard Helical Inline Geared Motor - Nord is another word for quality. Standard casings are purpose-designed to meet the requirements and performance level demanded today of gear boxes and geared motors. 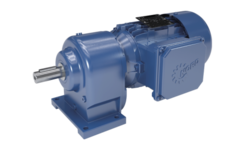 Nord Standard Helical Inline Geared Motor Series production ensures the most favourable cost-efficiency ratio. 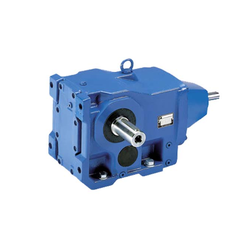 The conventional line of NORD GEAR reducers has a one-piece output side housing, integral with the main housing. This permits high overhung loads since the low-speed bearings are housed in a rigid chamber with no possible movement between the main housing and the bearing chamber. The gears are forged. The teeth are finished after hardening. Gearing is designed for infinite life based on DIN Standard 3990 and Niemann calculations. Fits between bores, shafts and keys are closely controlled for optimum performances. 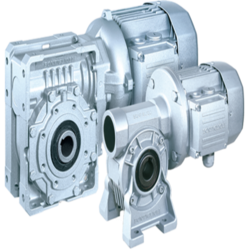 We, Dynamic Products, Channel Partners & leading Suppliers of Industrial Gear Box manufactured by M/S Nord Drivesystems Pvt. Ltd. take this opportunity to introduce you Industrial Gear Box which have been developed according to the tried-and-tested Uni-case housing principle. The Uni-case is a one-piece housing, into which all the bearings are integrated. The finishing of this Uni-case is carried out within unique jig, on state-of -the art CNC machines. The Uni-case concept features highest levels of precision, rigidity and strength. There are no dividing seams between the drive and the gear unit housing which are subjected to transverse forces or torque. The Uni-case principle allows the shaft axes to be staggered, resulting in a more compact design which allows the use of larger roller bearings to guarantee a long operating life. We are offering Helical Bevel Geared Motors to our clients. We are supplier of Nord Helical Worm Box & Nord Helical Worm Geared Motors in Mumbai. We, Dynamic Products, are Channel Partners of M/S Nord Drivesystems Pvt. Ltd. for Nord Helical Worm Gear Box, Nord Helical Worm Geared Motor. Nord Helical Worm Gear Box & Helical Worm Geared Motors are available in Foot mount, Flange Mount, Hollow output shaft, Solid output Shaft, Solid input Shaft & IEC adaptor versions to suit the various mounting positions of the customer. We are supplier of Decentralised Drives Geared motor with VFD & suppliers of VFD mounted Geared Motor in Mumbai. We, Dynamic Products, are Channel Partner's of M/S Nord Drivesystems Pvt. Ltd. for VFD mounted Geared Motor. 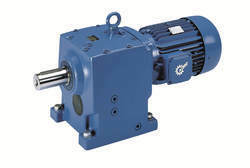 Nord VFD mounted Geared Motor are available in Inline Helical Geared Motor, Parallel Shaft Geared Motor, Bevel helcial Geared Motor versions to suit the customer requirements. VFD mounted Geared motor helps to reduce the cost of separate panel and long running cables. 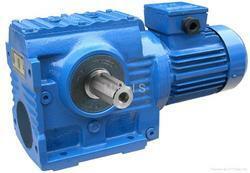 We are leading suppliers of Nord Worm Gear Box & Nord Worm Geared Motors. 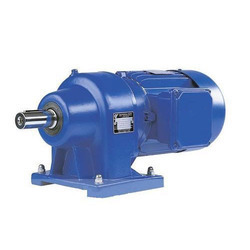 We are leading suppliers of Inline Helical Gear Box & Inline Helical Geared Motor manufactured by Nord Drive Systems (P) Ltd.
We are supplier of Helical Bevel Gear Box or Right Angle Gear Box in Mumbai. We, Dynamic Products, are Channel Partners of M/S Nord Drivesystems Pvt. Ltd. for Nord Helical Bevel Gear Box, Nord Helical Bevel Geared Motor. Helical-bevel gear units are available with an integrated backstop & Torque arm arrangement. We are a credible name to offer a high-quality Mechanical Variator that is provided with an easy to operate hand wheel speed control. Offered with an optional electric remote speed control, this variator is easy to operate. This offered variator is provided with an asbestos-free friction disc material that ensures a safe working life of the machine offered. Further, this variator is widely acknowledged for its robust construction. Ground and polished driving disc for minimum wear. We are supplier of Helical Bevel Gear Box in Mumbai. Nord Drive systems (P) Ltd are the manufacturer of Helical Bevel Gear Box & Helical Bevel Geared Motor. Helical-bevel gear units are available with an integrated backstop. 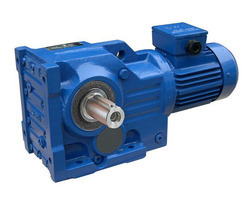 We are suppliers of Nord Inline Helical Gear Box & Nord Inline Helical Geared Motors in Mumbai. 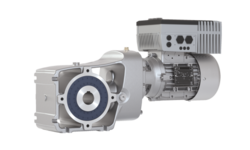 Nord Inline Helical Geared Motors & Nord Inline Helical Gear Boxes are available upto 160 KW & having Torque range of 10 - 26 000 Nm & Ratio 1.35:1 - 14 340.31:1. 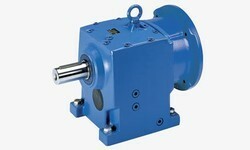 Nord Inline Helical Gear Box are Unicase design and have low mainetnance & long service life. Looking for Gear Box - Geared Motor ?